Photo One – Dog walking on Cramond Sands. 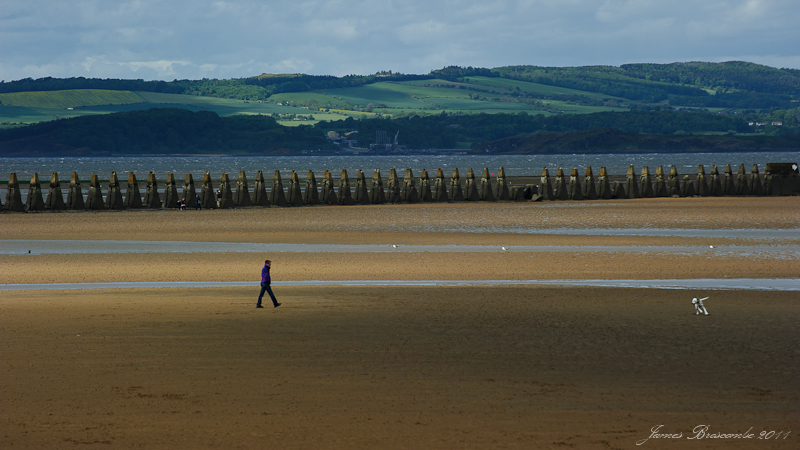 The posts in the background follow the walkway to Cramond Island which can be reached at low tide. 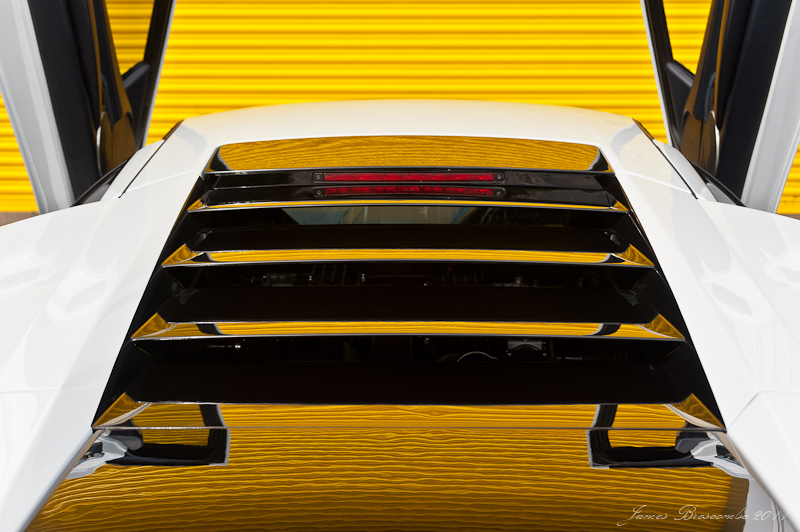 Photo Two – White Lamborghini, dull day, warehouse with yellow roller shutters, job sorted! I think the only way to represent such a crazy car is with something abstract. Photo Three – Raintown. 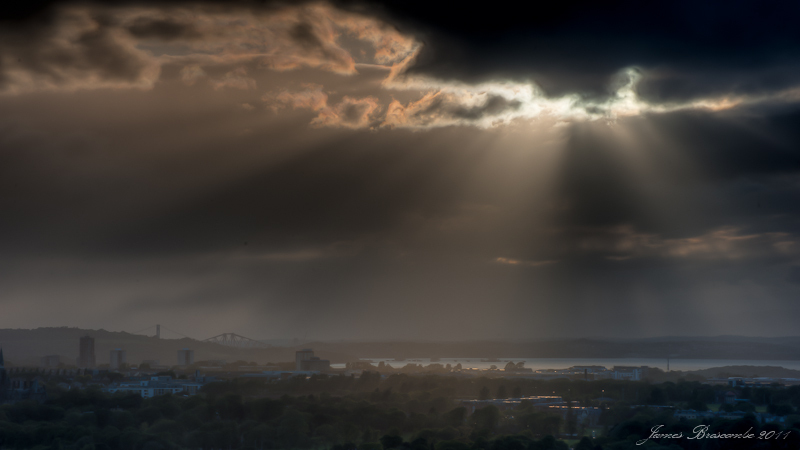 Edinburgh suburbs with the Forth Bridge in the distance. >I know there are a lot of people who are going to love the landscapes, and I can understand that 'cause they are pretty good. But the one of this collection that really gets me going is the Lamborghini abstract. Fabulous shot! Iconic even. >Thanks Esther – I expected to get Peter's vote on 2, but not yours!! !